First off, the ever-evolving property that is Oyster Bay. In a rather curious series of events, Oyster Bay’s manager and my good friend, Isolde Flamand, came into a sizeable property in the Shepherd sim…adjoining the Oyster Bay property. Dumb luck, really, and a wild fit of excitement for Iso and me! So we talked about the different things that we could do with the property, and the combination of her expertise in the world of SL photography and the distinct nature of the “Second Arts Photography” identity (I can’t call it a brand; this thing really isn’t a corporate operation.) led us to make a move to turn her property into THE Second Arts property. Iso and I have been furiously building, texturing and landscaping to make it fit within the rest of the Oyster Bay property, as this blog has shown. I’ve already removed the “new” Second Arts building – the four-story one with the machinima theater – from the face of the grid (All in one “Take” – so I can re-rez it later if I want…). Once we move Ty, Calli and Jazz’s pieces from the original Second Arts, we’ll remove that building too. 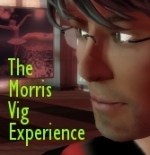 Should free up some prims on both sims…an important consideration that will help on other fronts. I’m excited at the prospects for Second Arts, and I know that Iso feels the same way. The building is much bigger, allowing for even more fine SL photographers (and a couple sculpture artists, I learned!) to show off their talents to the Metaverse. Iso has really made this facility her own from an operations point of view, which is exciting as Second Arts will finally get the devoted attention that it deserves. The January 4 “Meet Our Artisans” event at Second Arts will serve as an informal grand opening for the place. Please plan on stopping by to check the place out, meet a few of SL’s brighter creative lights (I know that Isolde, Callipygian Christensen and Jazz Calhern will be on hand…maybe more?) and see what’s possible in SL. I hear that DJ Doubledown Tandino will be playing as well – can’t beat that! January 15 will also highlight Second Arts, as they have a more formal grand opening Open House. Iso tells me that MoShang Zhao will be playing – which is fantastic. Oyster Bay’s first anniversary is 10 January…a fact that STILL floors me. In many ways, it seems like we held that first opening event in January 2007 (featuring Doubledown Tandino – a long-time friend and friend of Oyster Bay!). In others, the incredible amount of activity that we’ve had over the last 12 months makes me think that Oyster Bay must have been open longer! A milestone like this is something that Isolde and I are taking on a couple levels. First, there’s the celebration…as in, “We made it for 12 months! Come party with us!” Expect a party on the night of 10 January, as Doubledown has confirmed that he will be playing for an hour or so starting at 6PM SLT that night. We’re still lining up a followup, live musician – but I think that it’s going to be a good time regardless of who plays. It’s always a great idea to share moments like this with friends…and we hope you join us. 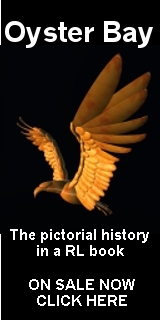 Then there’s the “Second Arts” (taken generically, not just the Second Arts Photography) element to the anniversary. Back at the beginning of December, Oyster Bay (and I) was awarded the “Best of SL Art 2007” designation of Most Influential Venue & Owner. There’s a very legitimate school of thought that says that these things are little more than popularity contests. (I still maintain that Tayzia Abbatoir and her Crescent Moon Museum should have won.) 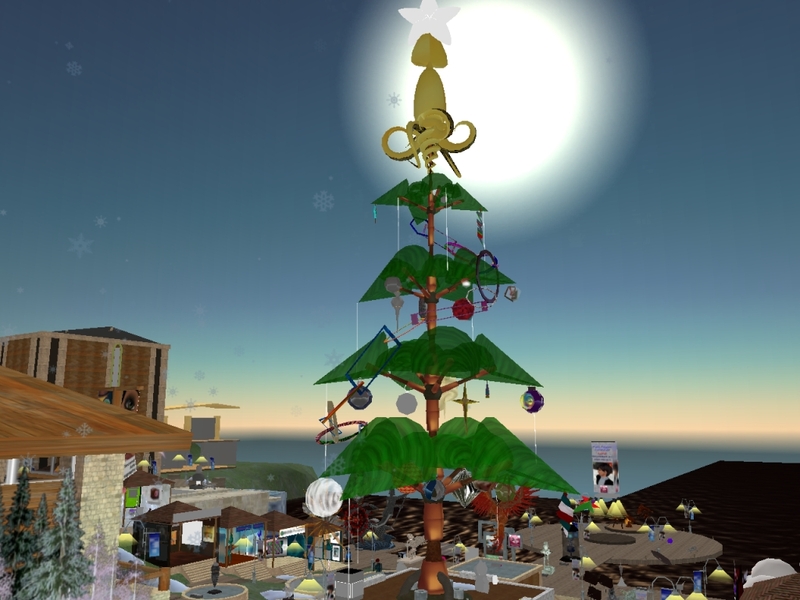 Regardless, I suppose that a few people look to Oyster Bay as a bit of a leader in the Second Life art world. 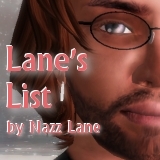 I’m not entirely comfortable with this burden, as I thought Second Life was supposed to be fun and recreation – not taking the mantle of leadership. But it’s here, so I’m going to try to keep it fun while also addressing what appears to be at least some folks’ perceptions of Oyster Bay and me. When I opened Oyster Bay, it was largely as a reaction to the proliferation of (at the time) adult-themed establishments and crappy retail. Too many brothels, too many casinos. Not enough higher thinking. Not enough inspiration to make something great out of Second Life and the unique tools that it offers. So I looked to art as my little means to inspire people to do something more with their Second Lives. Sure, Oyster Bay has morphed and grown…but the core motivation remains. Which brings me to the anniversary theme: Inspire! Last night, I announced this to Oyster Bay’s extensive group of skilled, creative artisans…and put it forth as a bit of a challenge! I let them know that, soon after the first of the year, I was going to start removing nearly every piece of sculpture art from Oyster Bay. I’ve asked each artisan to create a new piece (or pieces) that will serve to inspire the entire grid to be more, to do more – and to do it creatively. I’m genuinely excited to see what our great group of artists comes up with. I have no expectations other than that Oyster Bay won’t look much like what it does right now. But what else is new? We’ve had 3 gallery makeovers in 12 months. Sure, we’ll still have the great market stores and the aquarium. We’ll have the new Second Arts Photography, though…and literally everything else is in flux. I’m trusting our creative minds to create something even better than what we’ve had. This is very, very exciting. Expect to see things start changing in the lead-up to the anniversary party! On the personal front, RL is challenging. I have a new-ish job, one that takes a LOT of my time. (I only wish I could work only 40 hours!) It’s rewarding though, and I think that my work will help improve the lives of a lot of people. Problem is, it’s a challenge to keep up a presence in SL when I can’t find time to log in. (I need to work out a little more, too, which is good for my long-term health but not good for my short-term SL activity.) Also, I’ll be travelling a fair bit in January…I already know that I’ll be off-line over the weekend of the 11th through the 13th and then during the week of the 18th through the 26th. As a result, I’m making a conscious effort to define my Second Life within the constraints presented by RL. I have every intention to keep Oyster Bay going strong, and I’m thrilled that Isolde has embraced her role at Oyster Bay as she has. 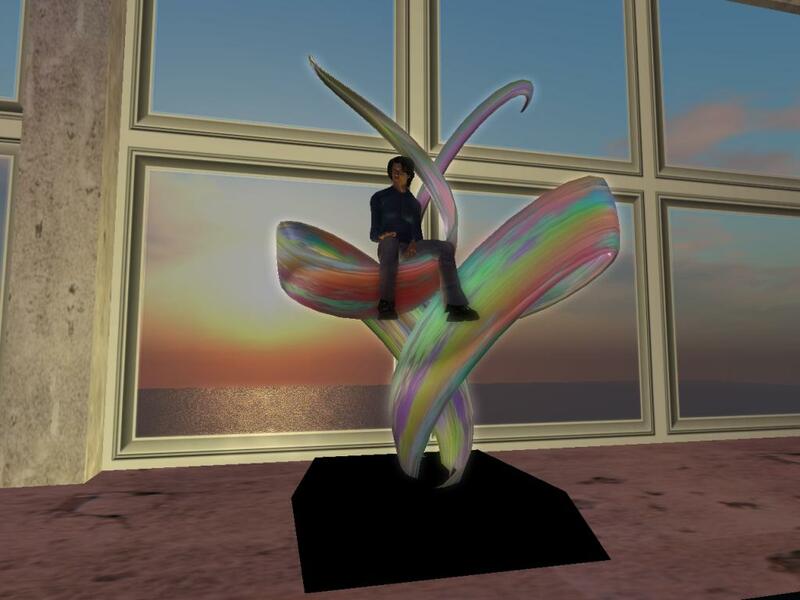 There’s a lot more that I want to do…I want to do a few more ArtTalks, get out onto the grid and help bring creative minds to light and try to find time to respond to all of the gracious invitations to experience the culture of the “Second Arts” across the Second Life grid. There are so many great things going on…I know I can’t keep up. But just to taste the creativity…it’s so inspiring! 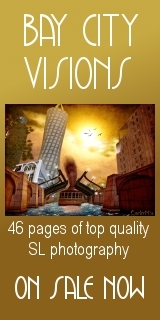 I also want to finish the entries on “Morris Vig” and “Oyster Bay” in Cyanide Seelowe’s VirtualArtpedia. 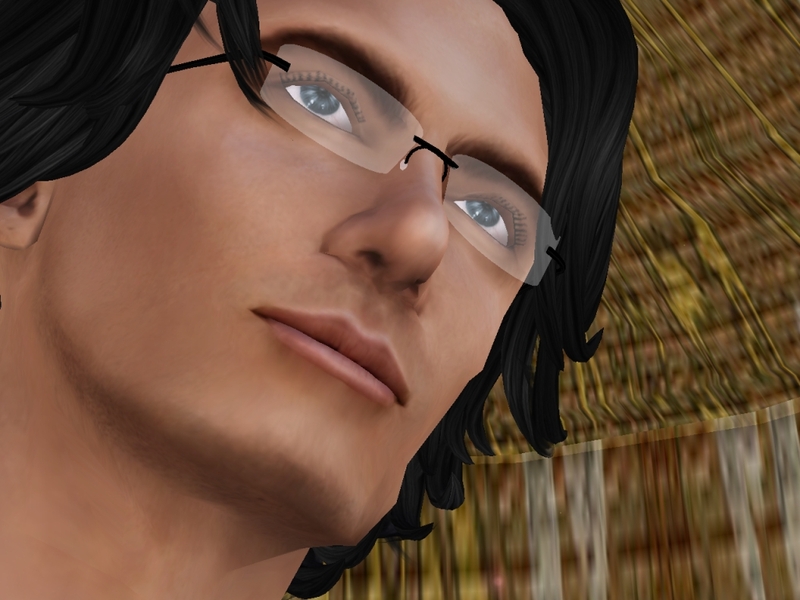 I feel strongly that everyone in Second Life needs to embrace this moment in history and document the trailblazing work that is being done in the Metaverse. And, yes, I want to my part. This is really, really important to me. So in closing, I hope you continue to enjoy, be entertained and get inspired by Oyster Bay. I look forward to seeing you all on the Grid. Let’s make a creative Metaverse! I was looking at that land for auction, as well, but it got bid out of my price range. It was my intention to integrate with Oyster Bay as well – so one way or another, it was going to happen! I’m so excited to see what you and Isolde come up with. Oyster Bay is my favorite place to visit in SL, especially when I’m feeling lost and down. You have done so much in only a year!